Dementia Action Week 2018 – Small actions. Big impact. Dementia Action Week – formally Dementia Awareness Week – is an initiative run in the UK every year with the objective to improve the lives of those affected by dementia, working to create a dementia-friendly UK, where those with dementia feel a part of the community. Globally it is estimated that over 46 million people suffer with dementia, with over 9 million new cases diagnosed each year (Ref 1). Dementia is a complex condition, where the severity of symptoms can vary day-to-day. As the condition progresses, the symptoms tend to become more severe, making simple daily tasks challenging and sometimes dangerous. Caring for someone with dementia and a urinary catheter can be extremely challenging. The confusion associated with the disease can cause them to pull at or pull out their catheter, causing injury and possible infection. The focus behind Dementia Action Week is “Small actions. Big Impact” – at Optimum Medical our small action to support dementia sufferers and their carers is to provide clear, easy to understand user guides with all products in our Ugo Urology range. 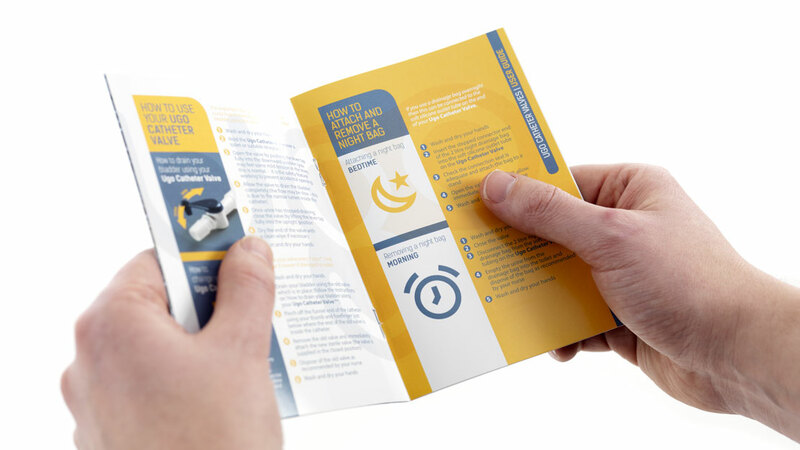 The user guides have been carefully written and illustrated to ensure that patients and carers can understand and follow the instructions to install and remove their Ugo Urology fixation or drainage device securely and comfortably. Our Customer Care Advisor can also be contacted directly on +44 (0) 113 263 3849 to answer any questions related to our Ugo Urology range. By 2050 it is estimated that over 130 million people globally will be living with dementia (Ref 2), so it is what we do now that will help pave the way for a dementia-friendly future.